YLScents is committed to respecting our customer’s privacy and is the sole owner of information collected on this site. We will not sell, share, or rent this information to others in ways different from what is disclosed in this statement. Unless required by law or your prior permission is obtained, YLScents will only share the personal data you provide with other YLScents entities and/or business partners who are acting on YLScents’ behalf to provide you services. These YLScents entities and/or national or international business partners are governed by YLScents’ privacy policies with respect to the use of this data. YLScents, collects information from our users at several different points on our website. Our websites offers several opportunities for visitors to register for promotional and informational mailings, online demonstrations and resources, and for assistance in evaluating our software and services. These registration forms are often linked to YLScents’ Newsletters, mailing lists and require users to give contact information (such as name and email address). We use this contact information to send users information about our company and its products and services if requested or necessary. Users may opt-out of receiving future mailings at any time (see the Unsubscribe/opt-out section below). All payments for the website are in Canadian dollars, YLScents is a Canadian based company. You have the option to purchase the website on either a monthly or an annual basis. We believe that our products represent quality and value for the rates charged and therefore do not give refunds on non-faulty items. Monthly purchases must be received in a timely fashion, should your payment be declined, your website will be deactivated until the payment is in good standing. Although testimonials of income earned and business success, YLScents testimonials are made by Independent Distributors each with their own style and strengths. The statements made by these Independent Distributors are actual amounts received and not an expected achieved income within any amount of time. Income levels achieved are done through investing time, money, and effort and consistently using the YLScents represented products and services. There is no assurance that prior success of others will indicate your future success. YLScents does not promise and does not guarantee any income levels to be earned. The income figures mentioned are based on commissions and bonus earning and indicate amounts of income that can be made. Your success is determined by your effectiveness and commitment to using the tools available to you and increasing your personal skill set, including but not limited to recruiting, coaching, motivating, and sharing your knowledge, skills, and products with others. 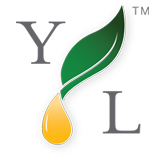 YLScents is a privately owned third party company that offers tools, and training for independent distributors of Young Living Essential Oils to market their business and products. YLScents is NOT owned or operated by Young Living Essential Oils. YLScents is not liable for individual customization of their websites, including but not limited to content, images, or anything other customization added to this website. YLScents is committed to providing the most up to date information, however from time to time there may be a delay in updating all the information or changes taking place. As this is a third party website, the information contained in this website is for limited to general information purposes only. YLScents does not make any claims, guarantees or assurances as to the completeness, entirety, accuracy, availability, or free of defects regarding information found on products, services, business plan or related images found on the website for any purpose. Relying on certainty of information is done at your own risk. YLScents endeavours to maintain a quality website, however YLScents will not be responsible or liable for temporary down time and the unavailability of the website due to technical issues beyond our control. YLScents in any event will not be liable for damages or losses associated with or indirectly associated with loss of data or profits through use of this site. Links available throughout this website, which are not under control of YLScents, does not represente the views expressed on the third party sites. These links are for informational purposes only and does not imply nor recommend use of the information found therein. All the information found on this website is for informational purposes only. These statements have not been evaluated by the Food and Drug Administration (FDA). These statements are not intended to diagnose, treat, cure, or prevent any disease. Always consult your health care professional about any serious disease or injury. Do not attempt to self-diagnose or prescribe any natural substances such as essential oils for serious health conditions that require professional attention. BY VIEWING THIS WEBSITE YOU AGREE TO ALL TERMS AND CONDITIONS.